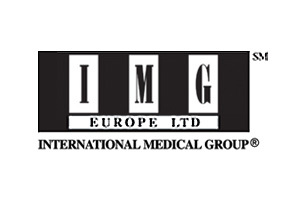 IMG, or International Medical Group, has been focused for over a decade on the medical insurance needs of expatriates and their families around the world. Based out of the USA,IMG can provide insurance plans for individuals, families, companies and groups who are away from their home country. IMG currently offers extensive coverage in over 150 countries worldwide. IMG has on site medical specialists and an efficient claims handling process to ensure that their customers receive only the best treatment they deserve. Customers of IMG are also guaranteed to receive specifically tailored plans to suit policy holder's personal needs. With professional staff at their disposal, IMG devotes incredible attention to detail and makes sure their policies meet the demands of the modern world. IMG is partnered with Sirius underwriters, who have an A- rating by Standard and Poors, this means that IMG has the financial stability and professional experience to give you insurance plans and services you deserve as a customer. For more information on IMG or for a free comprehensive quote, please contact us today.